The Cintec Anchor system is a versatile method of structural reinforcement bespoke to the specific strengthening and structural repair requirements of individual projects. 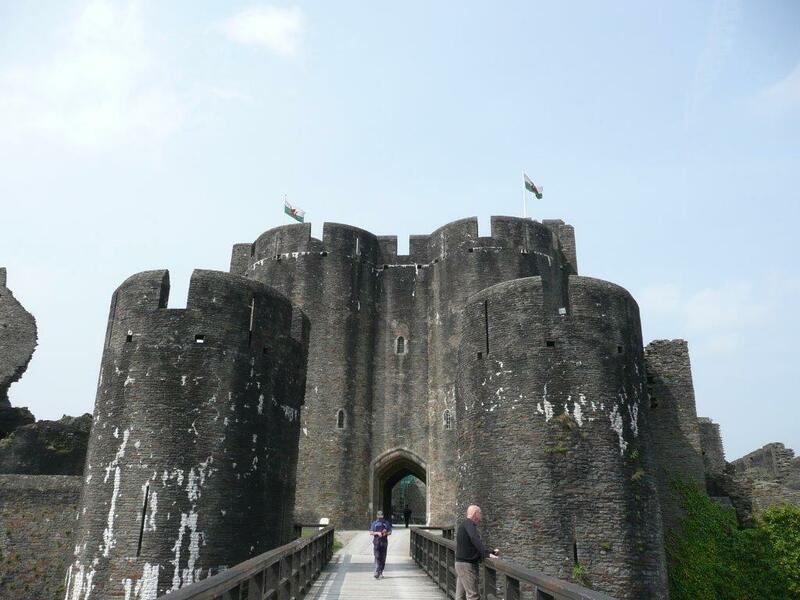 This system can be used on a variety of buildings and structures; from high rise blocks to harbour walls to historic buildings to monuments and bridges. 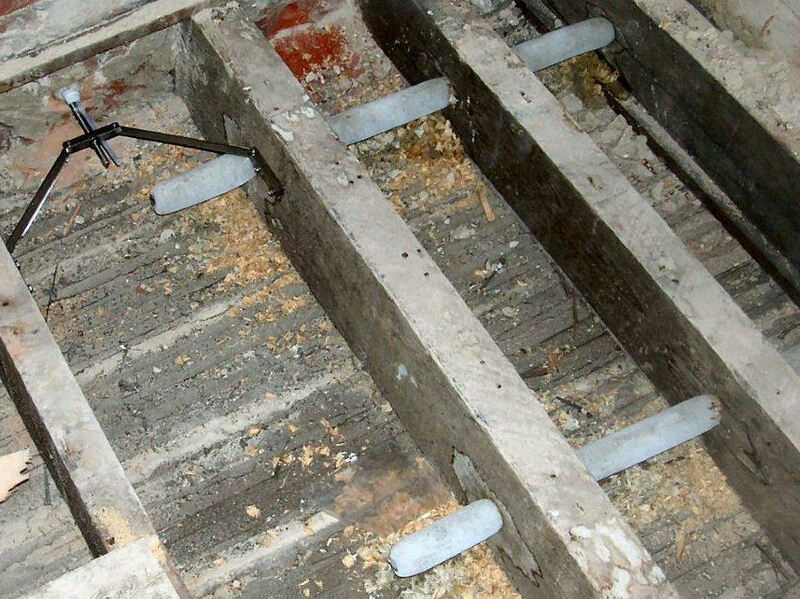 The Cintec Anchor system has a worldwide reputation for resolving the technical challenges of Structural Repair and Preservation, whilst remaining sensitive to the original architecture. The Cintec Anchor system comprises of a steel bar (or multi bar) enclosed in a woven polyester mesh fabric sleeve into which a special Cintec grout (Presstec) is injected under low pressure. Cintec Anchors are installed into precisely drilled holes using either wet or dry diamond coring technology. 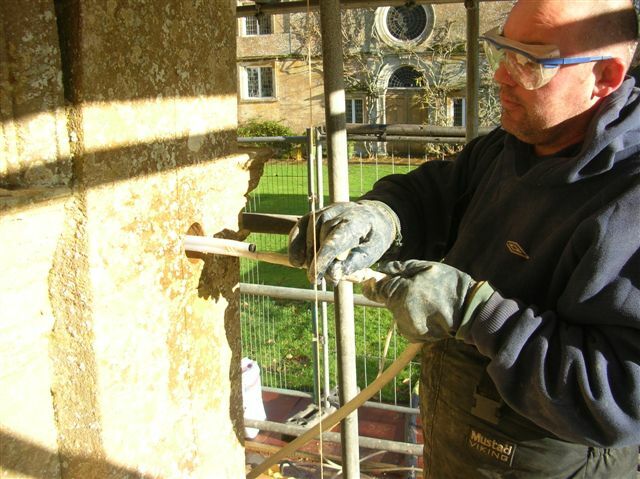 The flexible fabric sleeve restrains the grout flow and expands to up to twice its previous diameter, moulding itself into the shapes and spaces within the masonry walls. This provides an excellent mechanical bond along the entire length of the Cintec anchor without the need for unsightly pattress plates on the external façade of the structure, resulting in a near invisible Structural Repair. 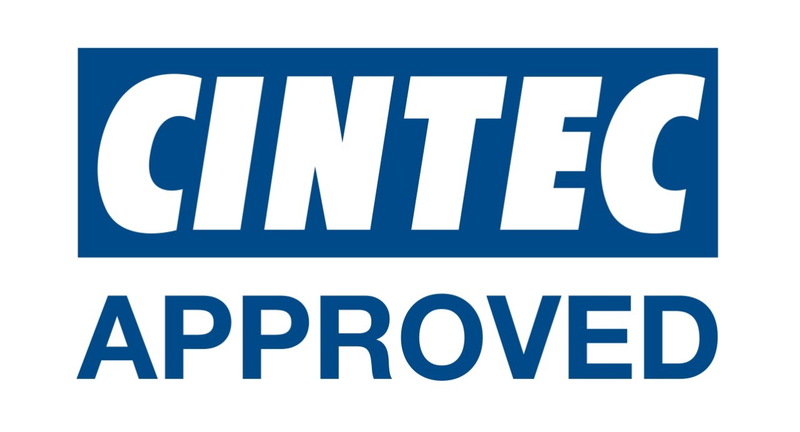 At Protectahome we are long standing Cintec approved installers. Cintec CHS – Circular Hollow Section. Typical applications Wall Tie, Lateral Restraint, Crack Repair, Consolidation Anchor, tying of new to old, Parapet Stabilisation. Cintec WSA– Wall Supporting Anchor. 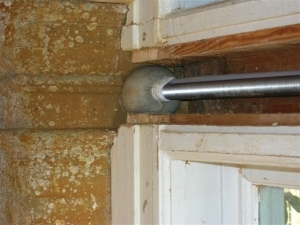 Typical applications Lintel Repair, Bridge Repair, Wall Tie, Wall Anchor, Corbel Anchor replacement, Corner Stitching. Cintec MB – Multibar. Typical applications Crack Stitching, Corner Stitching, Soil Nail, Bridge Repair, Ground Anchor, Arch Bridge Repair. Cintec RAC – Remedial Anchor Cavity. Typical applications Wall Tie, Consolidation Anchor, Crack Stitching, Lateral Restraint, Arch Bridge ring repair, Parapet Stabilisation, tie new to old. Cintec RWT– Rigid Wall Tie. Typical applications Crack Stitching, Corner Stitching, Lintel Repair, Parapet Stabilisation, Bridge Repair, Arch Bridge ring repair, Soil Nail, Ground Anchor. Cintec SHS– Square Hollow Section. Typical applications Crack Stitching, Corner Stitching, Lintel Repair, Parapet Stabilisation, Bridge Repair, Arch Bridge ring repair, Cintec Soil Nail, Ground Anchor. Cintec DRB – Deformed Ribbed Bar. 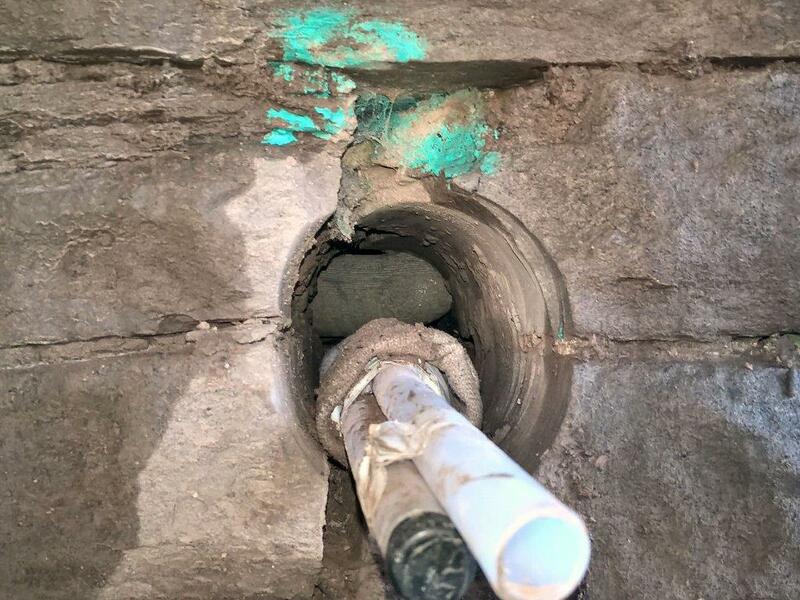 Typical applications Ground Anchor, Corner Stitching, Lintel Repair, Bridge Repair, Crack Stitching, Soil Nail, Arch Bridge ring repair. 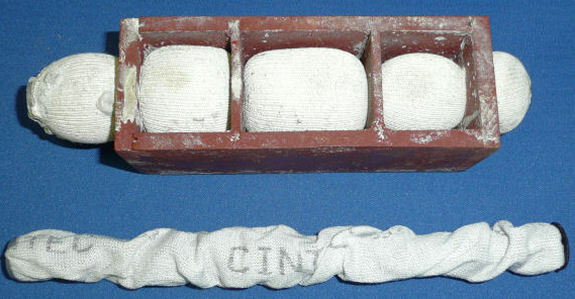 Cintec JRA – Joint Remedial Anchor. Typical applications Joint Reinforcement, Crack Stitching, Crack Repair. Cintec ST – Stud. Typical applications Parapet Stabilisation, Lintel Repair, Crack Stitching, Lateral Restraint, Wall Plate Anchoring, Soil Nail, Ground Anchor, Tie Bar, Wall Anchor, Post Tensioned Anchors, fixing for fixing steel work to masonry, tie new to old. Protectahome have a wealth of experience and enviable reputation for the installation of anchors due to the long lasting relationship we have with Cintec. 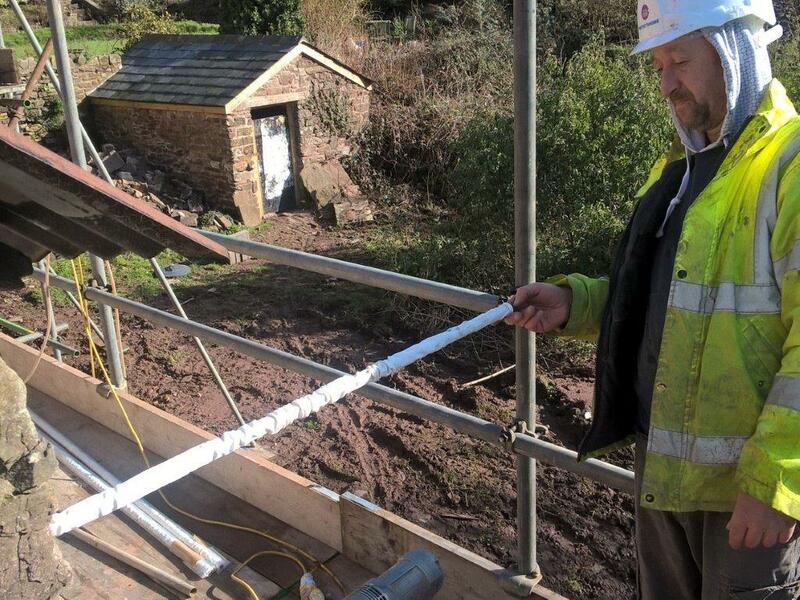 As Cintec Approved Installers, we are skilled in the installation of Cintec anchors from just 75mm to over 20 metres in length, in all types of substrates and structures including Palaces, Castles, Barn Conversions, Bridges, Retaining Walls, Parapet Walls, Harbour Walls and private residential dwellings. With offices in Bristol, Bromsgrove, Cardiff, Cheltenham, Leamington, Llanelli, London, Newport, Plymouth, Stockport you will never be too far away from a Cintec Approved Surveyor. Please see our Case Studies page for more details on the Cintec Anchor system application or Contact Us on 0800 055 6966 for more information. If you have any queries or wish to book a survey, please contact us today. You can get in touch by telephone or email to see how we can help and to book a survey with your local Area Surveyor calling 0845 601 1980.Alternatively, contact us now below.